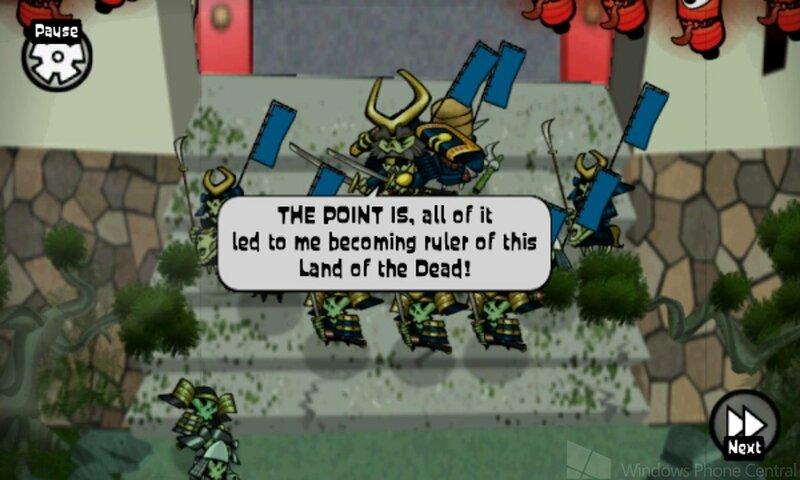 Skulls of the Shogun has been an incredibly important game for Windows Phone and the Microsoft ecosystem as a whole. It’s the first Xbox Live game to cross platforms between the Xbox 360, Windows Phone, and Windows 8. It was also the Xbox Windows Phone game that ended the game drought we faced earlier this year. After so many weeks without a new game, Skulls quenched many a Windows Phone gamer’s thirst. 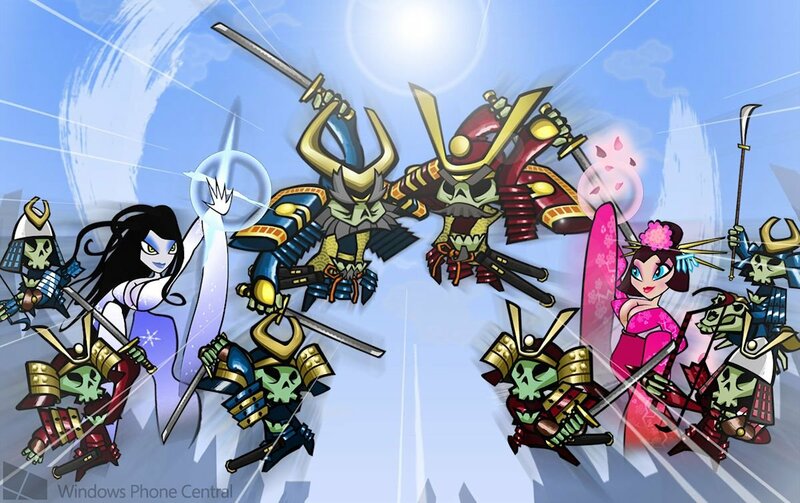 We had the opportunity to speak with Skulls of the Shogun developer 17-BIT twice last year, first at E3 and later Casual Connect. Of course, that was all before the game launched. Now that Skulls of the Shogun is live and in players’ hands, Windows Phone Central jumped at the opportunity to ask 17-BIT’s lead programmer Borut Pfeifer about how the game performed and what players can expect in the future. Head past the break for the full video interview! In speaking with Borut at GDC 2013, we were thrilled to learn that the Windows Phone version of Skulls outsold Xbox 360 and Windows 8 versions by a significant margin. Part of the reason probably comes down to that nasty software drought I mentioned earlier. By the time Skulls rolled around, we were READY for something new to play! The game’s high quality certainly didn’t hurt either. Another aspect that could have helped is the Windows Phone version’s $4.99 price. To that effect, Microsoft and 17-BIT have decided to retain that price indefinitely instead of raising it to $6.99 over time as originally planned. As for the other versions, the XBLA game has dropped to 800 MS Points ($10) and the Windows 8 version to $6.99. Most of us consider Skulls a fantastic game. But it does have a few problems ranging from bugs to somewhat jaggy and aliased visuals when running on Windows Phone 8 devices. The guys at 17-BIT are a dedicated bunch though, so as soon as the game launched they began working on a patch to set things right. Many of Skulls’ technical issues stem from the long development and certification process. By the time Windows Phone 8 actually launched, the game had already entered certification. That means the developers couldn’t test it on Windows Phone 8 devices. What looks fine on a smaller screen won’t always look as beautiful on a larger one. As the super cool kids who read all of our gaming articles probably know by now, Windows Phone 7 games cannot support true Windows Phone 8 resolutions. They are locked to 800 x 480 and then get upscaled when running on devices with higher resolution screens. Still, the Skulls developers have improved some of the game’s assets so that they will look smoother on larger screens. The same goes for the fonts as well. The upcoming patch will also fix a number of bugs such as events failing to trigger properly. Updates for the three versions of Skulls (Windows Phone, Windows 8, and XBLA) have already entered certification. It could take anywhere from a few weeks to a couple of months for all three updates to pass. Once that happens, the patches will roll out simultaneously across platforms. Haven’t tried Skulls of the Shogun yet? Here are store links for all three versions and a QR code for Windows Phone.